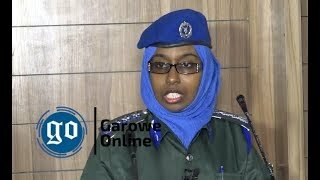 GAROWE, Somalia Nov 19, 2014 (Garowe Online)-Puntland Government in northern Somalia has condemned the cold blooded murder of Journalist working for Daljir Radio and UK-based Somali channel, Horn Cable TV on Wednesday, Garowe Online reports. 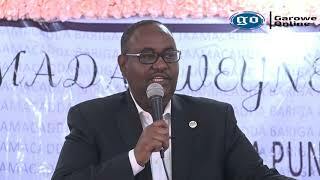 Speaking on Puntland-based independent station, Radio Garowe during Wednesday interview, Information Minister Abdiweli Hirsi Abdulle (Indhoguran) said he vehemently condemns the killing of late Abdirizak Ali Abdi (Silver). “Security agencies will bring the perpetrators to the justice very soon,” added Indhoguran.”We are very sorry for the assassination and at the same time condemn that brutal act in the strongest possible words”. 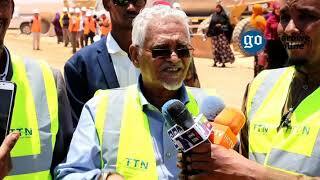 Continuing, he also sent his condolence to the bereaved families and friends of late Silver. 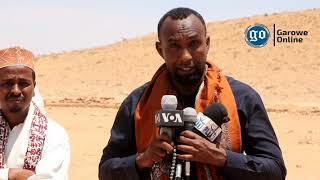 Meanwhile, National Union of Somali Journalists (NUSOJ) and Media Association of Puntland (MAP) called on Puntland Government to take immediate action, and capture the journalist killers. 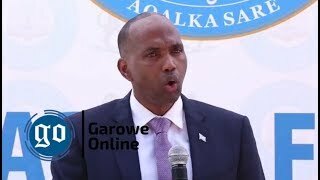 Five journalists were shot in cold blood in restive Galkayo which straddles the border between stable Puntland and south-central regions where Al Shabaab, armed clan militias and criminal gangs remain active since the year 2011. Masked gunmen shot and killed late Silver at a café near Hero Darawish complex, right away fleeing from the scene of the crime. 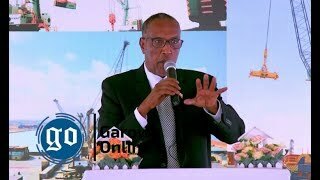 Somalia is rated one of the worst countries to be a media workers by International Press Watchdogs.